Delays in obstetric emergencies can be fatal, and in any health system, there are many opportunities for significant delays: delays in presenting to a health center, delays in making a diagnosis, delays in finding a skilled provider or adequate facility, delays in transport, and delays in initiating treatment. Therefore it is paramount that work be done to minimize each of these potential delays. There are many barriers to prompt and effective care here. First and foremost are the significant geographic distances that separate pregnant women from medical care: there are no roads connecting major cities, and travel on the riverways is slow, unreliable, and can be costly for poorer families (not to mention the added incidental costs of food and lodging for a multi-day excursion to the city, or the income lost in being away from their regular jobs). The set of women who make it to the clinic is a select one: they were sick enough that the illness did not resolve on its own or during travel, and they were not sick enough that they didn’t die before reaching care. The national insurance system of Peru (Seguro Integral de Salud) will coordinate and pay for charter flights from more distant regions for pregnant women with specific emergencies, but not for family members and not for routine care. The regional department of health (Ministeria de Salud de Loreto) does send periodic “brigades” (brigadas) of primary care personnel, midwives, pharmacists, and laboratory technicians to visit more distant health posts, but their stays are short and obviously inadequate in the case of obstetric emergencies that arise when the team is elsewhere. The mere fact that there is a need for these brigades highlights a second important barrier: lack of skilled maternal health providers in outlying regions. If a health post (Punto de Salud) even has a trained birth attendant (not to mention more trained people like midwives or obstetricians), many of the smaller posts are open only from 7am-1pm daily. Specifically with respect to the delays in finding an adequate facility and delays in initiating treatment, a group of 8 interventions has been shown to impact a stunning 80% of direct obstetric complications. The 8 interventions or “signal functions” are considered to be IV antibiotics, IV oxytocin, IV anticonvulsants, ability to manually remove a placenta, ability to remove retained products of conception, ability to perform assisted vaginal delivery (e.g. vacuum extraction or forceps delivery), ability to provide surgery (Cesarean or laparotomy), and blood transfusion. They are supposed to bolster the ability to treat antepartum hemorrhage, postpartum sepsis, complications of abortion, pre-eclampsia and eclampsia, prolonged or obstructed labor, ruptured uterus, and ectopic pregnancy. 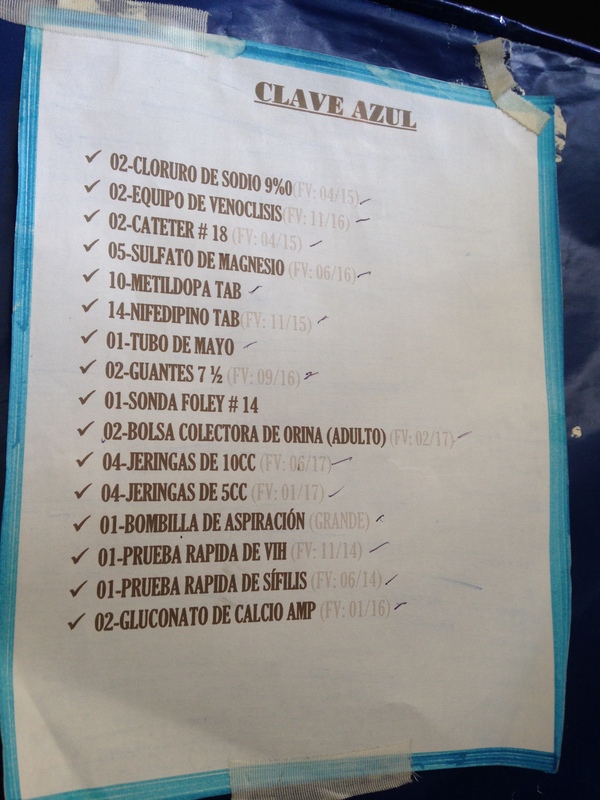 The FEMME project (2006; Intl J Gyn Ob, 92, 299-307) in the Ayacucho region of Peru was successful in its aim to bolster the level of preparedness in emergency obstetric care (EmOC) through these 8 interventions. Our own Global Health group decided to ask these similar questions in the Loreto (Amazon jungle) region where we were studying: What is the level of preparedness of the region’s health centers for EmOC? What major barriers are there to improving emergency obstetric care? What specific resources should be fortified to improve the level of birthing care for the women in the region? 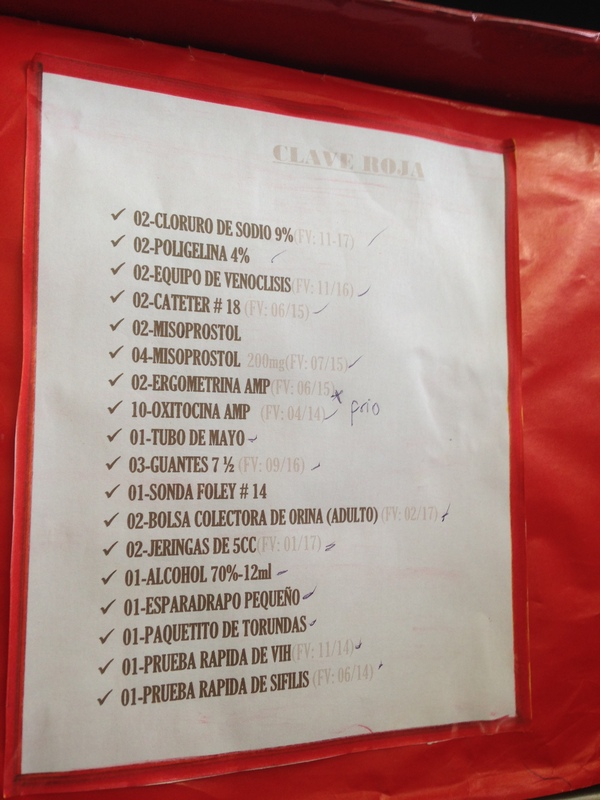 In our preliminary survey, we were able to visit several regional health centers in and around Iquitos and assess the adequacy of their supplies to perform the 8 “signal” interventions. 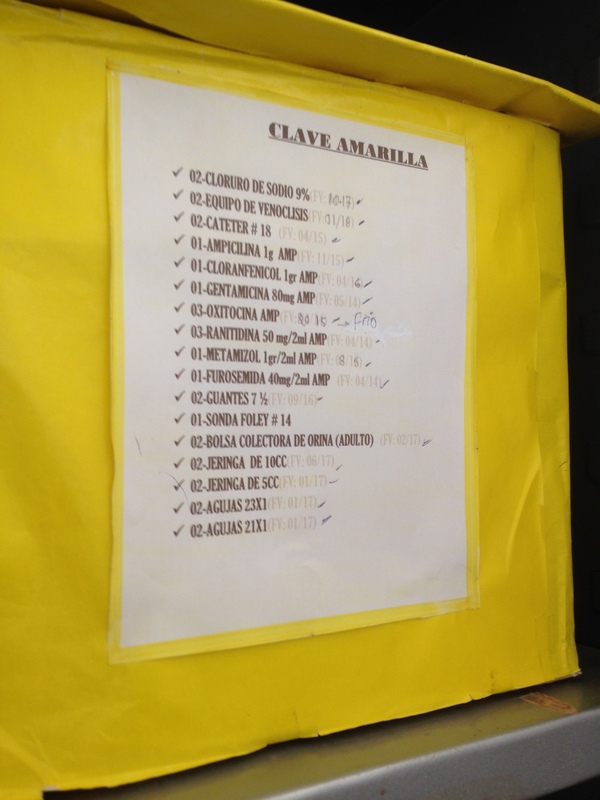 Though our sample was very small, it became clear to us that these centers were quite well prepared to attend to emergency obstetric cases thanks to the “claves” (clah-veys) that had been established in the country’s health centers in 2006. These claves come in three colors: blue (azul), red (roja), and yellow (amarilla). They provide a simple and organized way to attend to major obstetric complications: maternal hypertension or pre-eclampsia/eclampsia (blue), obstetric hemorrhage (red), and infection (yellow). Their contents are specific to each emergency type, and have things like syringes, IV tubing, fluids, antibiotics, antihypertensives, oxytocin, etc. Whatever might be needed at a moment’s notice. The obstetricians and midwives at each site we visited made it clear that they felt capable resource-wise. This is probably true for any clinic in and around the major city (not necessarily the more rural clinics, which we did not have a chance to visit). However, they also made it clear that transportation and personnel were still the biggest barriers. As Peru continues its work to reduce the Maternal Mortality Rate nationally, it will have to pay special attention to the women of the Amazon region, who face significant geographic hurdles, on top of the other major barriers to care. Delays can be deadly, but with the right providers and the right resources in the right place, lives can be saved. Reblogged this on Curhatan Para Malaikat Tak Bersayap. My question is why are poor Peruvian women being denied the same treatment as other women? Money? Popularity? Job status? Can you explain more about what you mean? 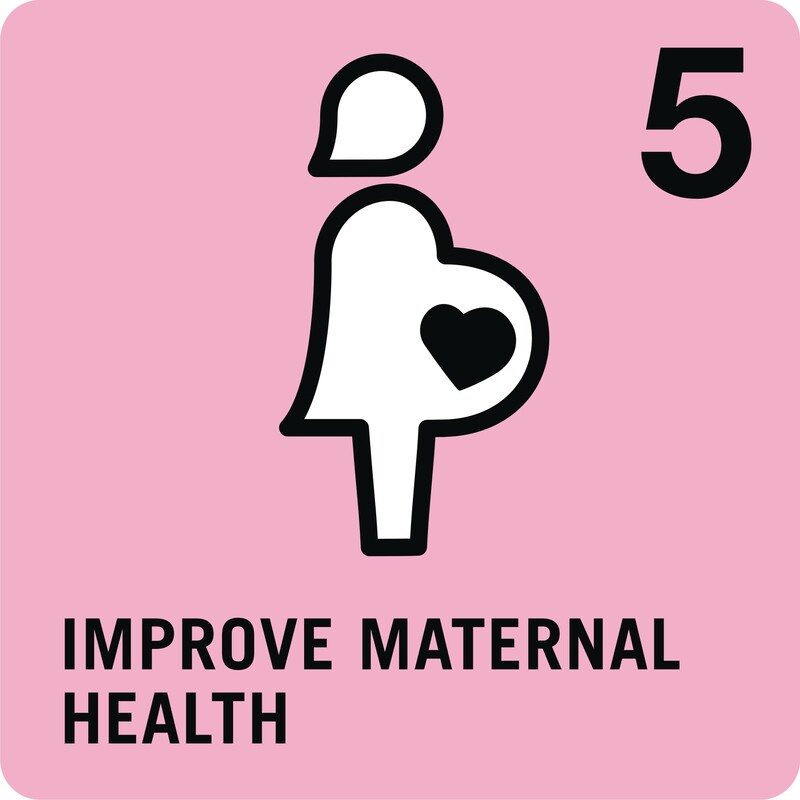 I am a global health student myself, and i strongly feel the strong need to improve health care delivery and quality for maternal and child health. In my view community participation in health and community empowerment through simple yet effective information camps and street plays may provide greater information to families on timely home treatments and prevention techniques to avoid complications. What are your views on the same?